When investigating claims of marijuana cultivation or production, police officers typically rely on a wide variety of sources of information to determine whether they have probable cause to execute a search warrant on a certain property or person. Some of those sources are considered inherently more reliable than others. For instance, an eyewitness who reports observing an incident is generally considered to be more reliable than an individual who reports overhearing a conversation possibly related to the incident. Likewise, known informants with a consistent history of assisting the police are given more weight in a probable cause determination than anonymous informants with little to risk in supplying faulty information. A recent case before the Wisconsin Court of Appeal looks at when, if ever, anonymous tips may reasonably provide probable cause for a search warrant to be executed. In State v. Linde, Mr. Linde’s home was searched on suspicion of manufacturing of THC and cultivation of marijuana plants. In 2010, Mr. Linde was arrested for growing marijuana plants and possessing paraphernalia at a cabin he owned in Oconto County, Wisconsin. In 2011, almost a year later, police received an anonymous call that Mr. Linde was again growing marijuana at his residence in Forest County, Wisconsin. The caller did not leave identifying information and stated only that during a recent trip to the residence, he had observed marijuana plants growing there. On the basis of the anonymous call and Mr. Linde’s prior arrest, the county authorized a search warrant for the search of Mr. Linde’s property. They again recovered marijuana plants and paraphernalia. However, at trial, Mr. Linde moved to suppress the fruits of the search, arguing that the police had not had probable cause to search his property because the anonymous tip was not sufficiently reliable, and his prior arrest was too remote. The trial court denied the motion, and Mr. Linde appealed. Finally, the court found that even the anonymous call combined with Linde’s prior arrest did not support probable cause. Although Linde had been arrested for growing marijuana plants, it had never been suggested that he was managing a large scale grow operation or that the circumstances and details of his prior growing arrest were consistent with the current grow that had been observed. Without these types of corroborating evidence to support the anonymous call, the court held that the call, even with the prior arrest, was not enough. As this case makes clear, anonymous calls will only rarely be sufficient to establish probable cause. 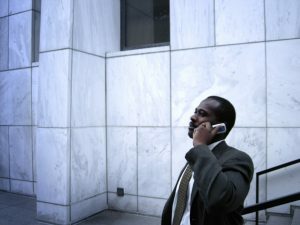 If a caller is unwilling to leave any sort of identifying information, he or she must, at the very least, provide a great deal of detail and specifying information in order to establish the validity of the call and to give courts and police a reasonable basis to believe that the caller is not simply engaging in a prank or act of revenge against the subject of the call. If you are a criminal defendant who was the subject of a search warrant executed based, at least in part, on an anonymous phone call, you may have a strong basis to object to the introduction of evidence obtained from that search. To speak with an experienced Wisconsin drug crime attorney knowledgeable on search warrant issues, contact the law offices of Reddin & Singer, LLP through our website or give us a call today at (414) 271-6400.